Wesleyan has deep, long-standing ties with India dating back to the 1960s. 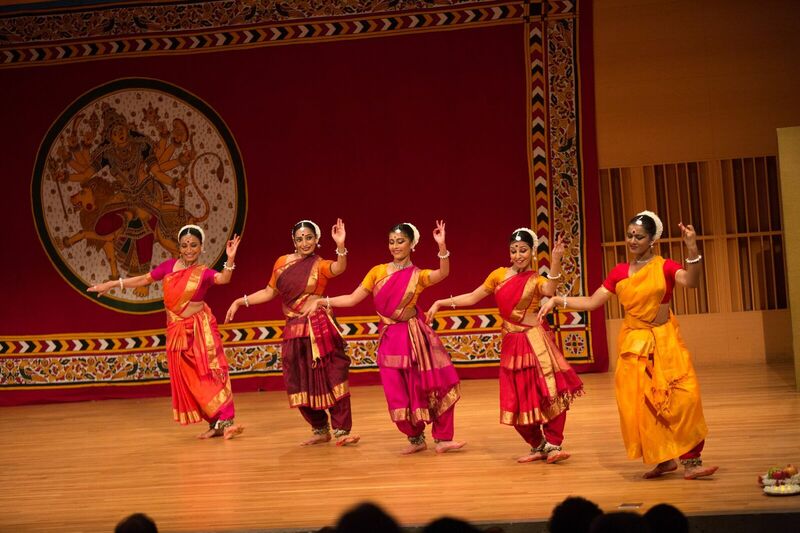 These include an annual Navaratri Festival (the 42nd annual event is being hosted by the Center for the Arts this month), an annual student-organized Holi Festival, South Indian music course offerings, a South Asian studies concentration, and an active South Asian Student Association. Angle, who is also the Mansfield Freeman Professor of East Asian Studies, said they will immediately begin a search for a full-time assistant professor of the practice in Hindi-Urdu, and will begin offering introductory and intermediate classes in the fall of 2019. The grant will also support Wesleyan STEM faculty in developing research collaborations in India. Interested faculty will first take part in a Faculty Academy that introduces the basics of South Asian history, culture, and language, and then travel to India early in 2019. In the spring of 2019, students will be able to apply for research assistantships in India through Wesleyan’s College of Integrated Science. Finally, over the course of the UISFL grant, various units at Wesleyan, including the South Asian Studies Certificate, the Fries Center for Global Studies, and the Center for the Arts, will sponsor a range of events related to South Asia. “Our goal is to make Wesleyan a center for studies of South Asia across the disciplines as well as a major facilitator of interactions with South Asian researchers and citizens more generally,” said Angle.